Last summer, my sister gave me the privilege of being her maid of honor for her wedding. I was so happy to be by her side on that important day. At some point in the planning process, she asked me if I wanted to give a speech. She told me that I didn't have to, if I didn't want to. She didn't know if Troy, her fiance's best man and brother, would be giving one. For me, planning a speech in their honor was the best gift I could give them, other than my presence leading up to the event, and my support in their marriage. Writing it was difficult, because I did not want the speech to be about me. But, it's hard to write a speech about how two people have impacted your life without giving a little bit of you away. I wanted to keep the focus on Kerri, how special she is to me, and how eternally grateful I am that she and Shane have each other, to hold each other up every day. Kerri may have been nervous about me being in front of a room of two hundred, because she would have been nervous in that situation. I also think she was nervous about just about everything with the wedding, as brides typically are. Kerri likes control, and I love that quality about her, but it sometimes becomes too much. After taking the reins for the Bridal Tea, and telling the ladies at the event the funny story of when I first met Shane, I could see Kerri feeling more confident. The story goes that I was down in Castleton, Vermont, visiting Kerri on a weekend trip while she was in college. I had heard about Shane, and she very much wanted me to meet him. She had oral surgery planned for that day. When I saw how loopy and completely out of it she was, I figured I would meet him another time. But, I guess she had been calling Shane and instructed him to come over, with ice cream. When she told me he was coming by, I thought, 'Are you kidding? Do you want to scare him away? Why on earth would you ever let someone you want to romantically desire you see you like this?' But I couldn't say that. She was just so damn happy that he was coming over. When he came in, I thought, 'He's going to scream. He's going to see her, scream, and run away from her forever. There goes that relationship.' To my surprise, he greeted her just like I've seen him do hundreds of times since. It didn't matter that she looked like a raccoon-chipmunk hybrid wearing stockings as a headpiece. She had somehow bewitched him. He loved her, even if neither of them knew it yet. He laughed at her drugged up state, and had brought her a pint of ice cream. Not only that, but he won me over by bringing me Tofutti soy ice cream. Moving forward through the years, I have never had reason not to be supportive of them. They balance each other. Their one year anniversary is on June 2nd. They're going on vacation in Maine. As an anniversary gift, I had the maid of honor speech I was lucky enough to give them printed and designed by the fabulous Colleen Weisemann. Because I can't give it to them on their actual anniversary, I'm debuting it here. The bond of being a sister is immeasurable in its depth and strength. Kerri is a part of me – a part that I cherish and could not be who I am without. Kerri carries with her our memories of growing up, the pain and triumph we have experienced over the years, and the hopes and dreams we’ve whispered to each other, first under shared blankets and now hundreds of miles apart, tucked under separate bed sheets, phones in hand. I am so grateful to be Kerri’s sister, and her friend. This said, I could not be more appreciative for Kerri to have found love with Shane. He is a truly compassionate, intelligent, and honest man. Shane, thank you for being more than what I could have ever dreamed of for my sister. It gives me a great deal of comfort to know that those secrets, once kept between sisters, can now be shared with an individual truly deserving of their confession. Knowing that she has you and that you’re a part of our family – that we all have you – brings me such great joy. My hope for Kerri and Shane is selfish. I would adore two nieces just so they might know the bond of sisterhood, too. I want them to shape and form each other, as Kerri and I have, to teach each other love, sharing, and empathy. 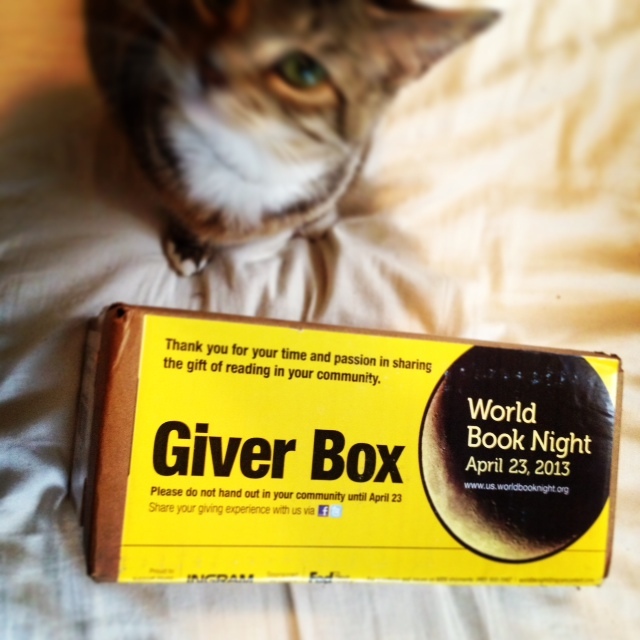 I found out about World Book Night (WBN) from a Penguin Press (@PenguinPress) tweet. 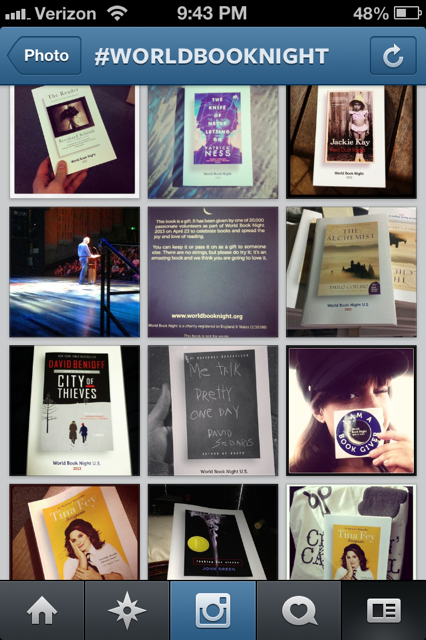 It's an opportunity for people, or bibliophiles like myself, to share their love of books with light and non-readers. Potential givers fill out an application and are chosen based on how they plan on delivering the books in their community. In addition, their location is taken into consideration. WBN wouldn't want a ton of their givers to be in New York, while Ohio had none. I looked through the titles, and decided that La Casa en Mango Street by Sandra Cisernos would be a great choice for Buffalo. 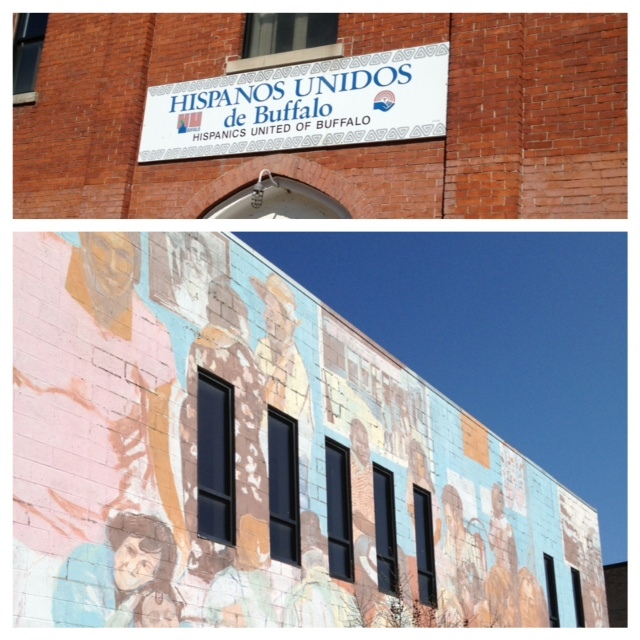 Buffalo has a significant population of Hispanic community members. Many of these people are in a low income bracket, especially those whose native language is Spanish. I used to live in Buffalo's west side, and I taught in the Buffalo Public Schools. I saw so many Spanish speakers with so little books available to them. Without a great deal of disposable income, owning a book is a luxury for many of these people. 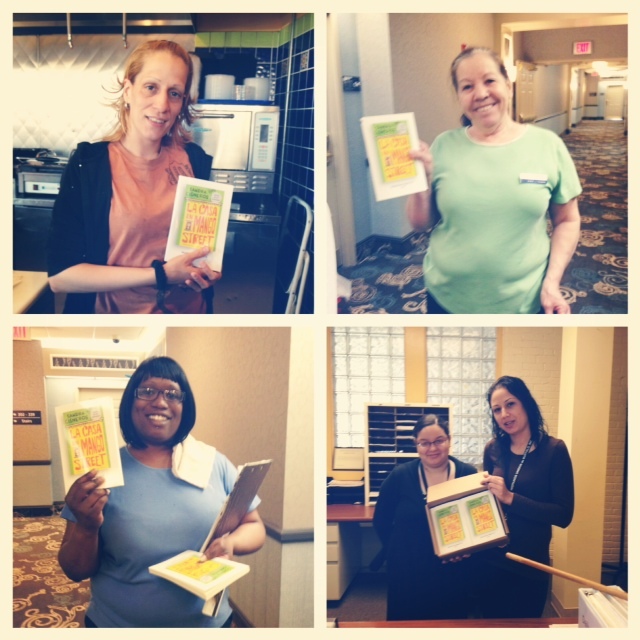 I chose to give away books to people working in the service industry in downtown Buffalo, as well as people on the west side, going along with their daily routine. I also visited Hispanics United of Buffalo to give away books. It was a strange feeling to give books away to random people. Most were very appreciative. They smiled at my broken Spanish. At the same time, it was almost awkward for me to give someone a gift. It wasn't because I am afraid to talk to strangers. Instead, I didn't want them to think I was trying to promote anything besides literacy. I would tell them, "It's a good book. I'm giving this to you to promote reading. It doesn't have to do with religion or buying anything." People hand out flyers on the street so that people will go into a store. They walk into businesses and drop off pamphlets promoting a religion. So often when someone gives another person a gift, especially if it is a stranger, it is to promote a belief or get money out of them. There are invisible strings. I look forward to hopefully having this opportunity again. It felt good. In fact, it was nothing but good. I felt good, and those I gave it to felt good. The community and individuals benefit from acts of kindness. I am going to make it a point to perform random acts of kindness on a conscious basis.